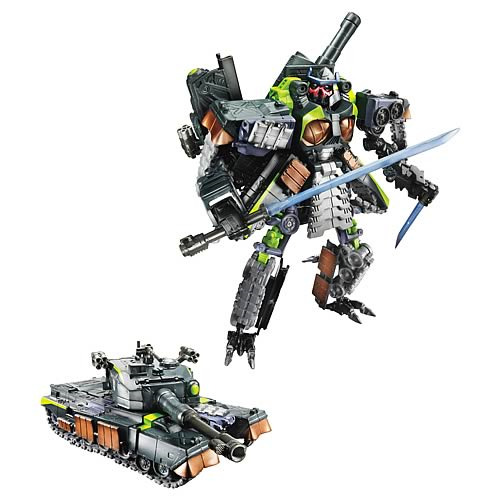 Awesome armored tank transforms into obscure Decepticon warrior Banzai-Tron! Awesome sword and firing cannons! Their war, our world! The massive robots in disguise can be anything-- a helicopter, a rescue vehicle, even your car-- and who knows what they're after? This is the individually packaged Revenge of the Fallen Banzai-Tron Robot that transforms into a tank. Inspired by the original Action Masters toy, he has a skull-like head in robot mode and is ready to fight! Measures about 6-inches long.